As the flagship environmental protection industry exhibition of Asia, the 19th China World Expo was successfully held in Shanghai New International Expo Center from May 3 to 5, 2018. 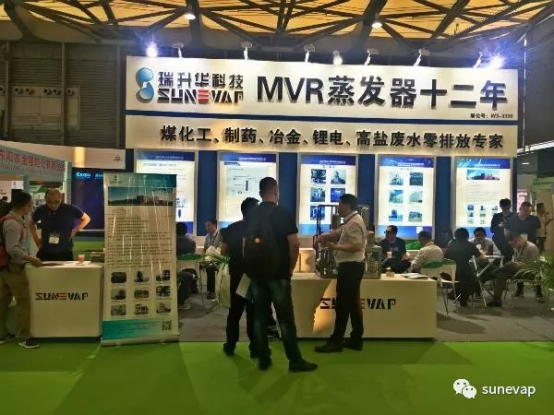 The three-day exhibition gathered 1,762 exhibitors and displayed the advanced products, technologies and innovative solutions of the whole industrial chain in the fields of water, solid waste, atmosphere and soil pollution control in an all-round way in 128,000 square meters exhibition area. It successfully attracted 66,580 professional visitors from 59 countries and regions to visit and negotiate. 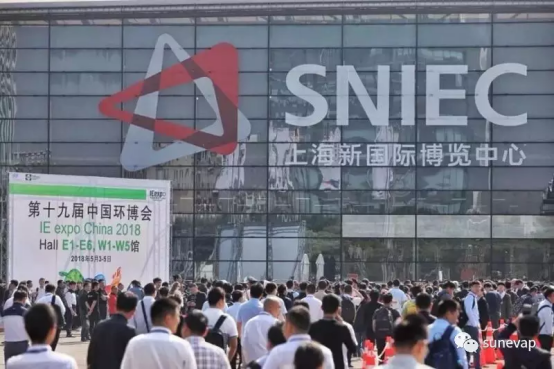 During the exhibition, the world's leading enterprises in the industry all appeared at the China World Expo, displaying their new equipment and technology. 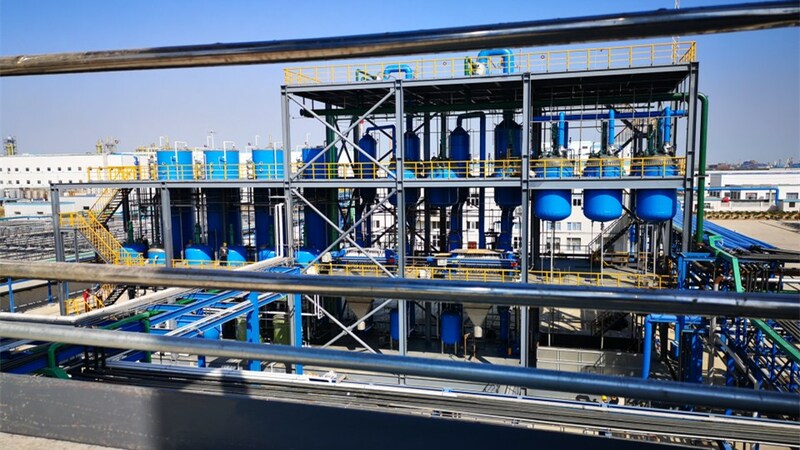 As the earliest domestic high-tech enterprise specializing in MVR evaporator research and development, design, production, installation and commissioning, Shenzhen Ruishua is also a professional for wastewater evaporator. During the event, Shenzhen Ruihua staff brought more comprehensive application solutions to on-site customers. It meets the actual requirements of many spectators on the scene and attracts many visitors to stop and scramble to understand Ruihua technology products. The scene is very popular. At present, the competition in the field of environmental water treatment is very fierce. Faced with the fierce competition market, Ruihua has its own R&D center of nearly 2,000 square meters, which not only increases a lot of investment from laboratories, but also from R&D personnel, specializing in pretreatment and R&D. Secondly, after-sales service department has been set up specially in the back end, not only to provide good pretreatment and R&D for customers. Good equipment, more importantly, to provide customers with more perfect, fast and effective after-sales service, so as to increase the market competitiveness of Ruihua Science and Technology, to provide customers with better and more practical use experience. Faced with the future, Ruihua will continue to uphold the mission of "saving resources by technology, optimizing the environment by industry", provide high-quality service with new technology and humanity, and make progress with you, develop together, trust and benefit, and serve the society!